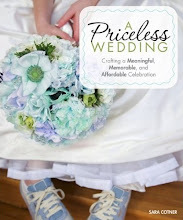 Reader Question: Your blog is very encouraging as my fiance, Russell, and I are trying to plan a budget-friendly wedding. I have one question for you that I'm sure you've received before, but here it is :) Because we are planning a budget-friendly wedding, we too had to cut the guest list by a huuuuuge amount. The problem we have run into is that even though our wedding isn't until May 30th of next year, we already have people inviting themselves. We now realize that saying" we set the date!" in a facebook status is a bad idea. We have both received comments from people who we aren't particularly close to that say something along the lines of, "May 30th, 2010! I'm marking it in my calendar." Whoops. So how should we go about telling people they are not invited. We have a website and I'm thinking of doing a nice announcement on there saying we are having a small wedding. So how would/did you do it? How do you tell people, "Sorry, you're not invited." in a nice way? I want to state for the record that Matt and I chose to limit our number of guests to 80 for reasons other than our budget. We wanted to spend quality time with our guests. We wanted to dwell in deep conversation and linger. We wanted to truly be able to connect with our nearest and dearest, and we didn't want to feel like our wedding "flew by." We let people figure it out for themselves. Most people figured it out pretty quickly when they didn't receive a Save-the-Date or an invitation. If they still didn't figure it out and they confronted us about it, we simply said, "It's a small wedding and we are only able to invite our closest friends and family." We also had awkwardness around guests bringing guests. For example, Matt invited one of his friends and hoped that the friend would bring his brother as his guest. He did, but then the brother wanted to bring his girlfriend. We explained to him honestly and openly that we really just wanted to be surrounded by our closest friends and family. It's tricky business, and there are no perfect answers. Just do the best you can. 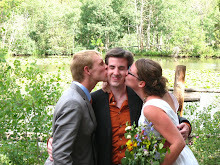 In the end, a few random people did slip into our wedding (as well as some wedding crashers!). It didn't detract from the quality time I spent with my friends and family (although I did confront the wedding crashers by asking them point blank, "Are you wedding crashers?"). 2000dollarwedding kindred spirits, what strategies do you have for dealing with the guest list conundrum? you had wedding crashers?! did you have any idea who they even were? and i'm having that same problem, too. we have very limited room at the reception site and although most of our guests are receiving a +1, there are some people in my and my fiance's life that are simply not invited. it is not a budget issue, instead it is based on the fact that i genuinely do not want people at my wedding who have no idea what either of us do, what are names are, or that we're even dating. i've had to explain this tactfully to my family members and we're hoping the others will get it on their own. our main thing is children. our wedding is not child friendly (open bar, midnight ending, and space constraints) and the only children on the invite list are our immediate family members. i'm so afraid people will add random invitees, that i'm physically writing in their names on the RSVPs. if they can't get the hint that way, a phone call with an open and honest explaination will have to do. That's cool! Although probably, they might think, that's a rude thing to ask them...but then again, they're the ones being rude in the first place, for inviting themselves to an event to which they're not invited by the hosts. As a bride-to-be, I also greatly dislike the thought of having gate-crashers at my wedding, as I just want to see people who are special to me, and not strangers. Though 8 months away from the big event, I'm already thinking of ways to eliminate gate-crashers. I've had to confront this issue a few times already, and we just sent save the dates. This came up pretty blatantly when some co-workers wanted to throw me a shower. Though they are both invited to the wedding (whew!) they had wanted to invite a good amount of folks from work, who were not on our guest list. We handled the issue by being upfront in the shower invite, which read something like, "Since Audrey and Shawn are having an intimate wedding with mostly family, let's help them celebrate ahead of time with a shower...etc." wedding crashers??!?! how did they handle being confronted?? we had some problems with people inviting themselves, or assuming they were allowed to bring a plus one... we also "let people figure it out" when they weren't invited - although there were a few people who we really care about and WOULD have invited if we weren't keeping the numbers down, and we did tell those people "we're so sorry, we would have loved to invite you, but we just couldn't afford a large wedding". The folks who assumed they were bringing a date - we just had to tell them they couldn't. We had a strict "married or long term partner only" rule, so we had to have a couple of uncomfortable conversations, but for the most part people were very gracious and understanding. We're getting married in about two weeks and I'll you this - the guest list hasn't stopped being a problem yet! We planned for a small intimate wedding for various reasons: our location was small, budget, intimacy. Our major cut was in extended family since if we added in all aunts/uncles, cousins, we'd have no room for friends. We asked our parents to help explain to family and they seem to have been very understanding (or at least our parents deflected any upsetness away from us.) With friends, we just tried to be honest without outright saying "you didn't make the cut." Usually we said something like "We've decided to have a very small wedding and unfortunately can't invite everyone. I'm sorry that we can't extend an invitation." I have found that married friends are very understanding about it having been through the planning themselves. Single friends have been a little more upset or confused. In their case, we had a rule that we followed with invites - if they were in a long term relationship before we got engaged, both were invited. If not, just the single with the exception of one who is now engaged but we've never met her. Sooooo complicated! The added guest thing has been an issue though. In a couple of cases we had singles who rsvp'd that they were bringing a guest and we had to follow up and let them know our space contraints didn't allow it. But now at the last minute we've had a few guests let us know they actually can't make it and so we're letting the singles know they can bring guest if they want. I think my caterers are going to kill me. Finally try to see it as a compliment. They are really happy for you and want to celebrate it. I had a group of girl friends who put a shower on for me even though none of them were going to the wedding - they just wanted to do something to honor it. Really nice and as long as they are no gifts expected, why turn that down? I'd like to make the suggestion to consider having a post-wedding party that is open to all who were invited to the small wedding and those that were not. We just had our intimate wedding 2 weeks ago (40 guests) on a Friday night and on Saturday we had a casual party of around 100+ people. You could do it in a state park, town green, or other low cost or free spot. We had sandwiches, lemonade, a keg, etc. but you could also do a BBQ- both of which would be pretty inexpensive. We sent separate invitations to the "party-only" guests (coworkers, extended family, facebook friends from back in the day) and let them decide if they wanted to make the trip here without attending an actual wedding. Surprisingly, alot did and it was a good time. Hubby and I got the quality time we wanted with our nearest and dearest on Friday at the small wedding and were able to celebrate with others on Saturday that wanted to join us as well. We had an interesting situation over Labor Day weekend where my fiance's 41 year old single cousin just sort of said "I'm allowed to bring a date, right? I'll find someone to bring - I'll even pay for them." 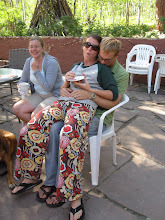 And I was a little drunk, and also feeling a litle ambushed because she is our wedding officiant. So I think we said yes. But more and more the whole situation is annoying me. I don't want her to bring some random person to our wedding - someone she's either broken up with in the past or dug up for the occasion - especially when we're having a really small reception where we're not even inviting some of our friends. Can I get a do over? Or is that totally rude? Thank you so much for this post! There's a number of people I might have to let down; all you can do is be kind and hope they will be kind in turn and understand. I do have one word of advice, which I think is pretty common sense, but recently happened to me so I wanted to throw it out there: I have a friend who is also getting married soon, and she invited me to her bachelorette parties (2 of them!) and bridal shower. Thing is, I started to get confused because I never received a save the date, or an invite to the wedding. I eventually found out through a friend that I was on a "B" list; if a certain number of people on the "A" list could not attend the wedding, then I would be invited. I was fine with that, but I didn't think it was very fair to invite me to the other bridal events, because it only served to confuse me. I thought, did my invitation get lost? And then I debated about asking the bride about my invite, because if I were invited to the shower, surely I'm invited to the wedding, right? Not so. So, my two cents is, don't invite someone to your bridal shower/bachelorette party if you are not inviting them to the wedding. See, I think that's pretty common sense, but alas, it happened to me. In the end, I did not attend any of those events, because I didn't feel comfortable--I didn't know if I was invited to the wedding. It was the right thing to do. PLEASE explain about the wedding crashers. I'm dying to hear all about it. I have a question relating to this topic. Let me preface this by saying that I love the idea of having a small affordable wedding, what about showers? How do you decide who to invite or not? And is it rude to invite someone to the shower and not the wedding? In February, I was invited to a shower for a member of my Bible study. The shower was about a month before the wedding and I mentioned to another friend that I had not received an invite to the wedding. It was then that I learned they had only decided to invite half of the Bible study in order to keep their wedding small. I understand this desire, but found it strange (and a little greedy) when I was invited not only to the wedding shower but also to the engagement party. Not to mention that I was sitting next to the bride when she first met her groom. Well, Miss Manners says you should always say, "Oh, we're having a very small wedding," no matter what the size for exactly this reason. So, yeah, I think you nailed it. But why I really wanted to pipe up is that I wanted to say (forcefully but kindly) that you can have a large wedding and your wedding day will NOT fly buy, and you WILL see everyone. I just find this sort of talk about 'why small weddings are better' can be hurtful. We, for example, had a very large family to deal with. 80 people was not an option for us, period. But you know what? We had an amazing wedding, we had long conversations with tons of people, and our wedding day felt like it went on forever. A small wedding sounds like it was a great choice for you guys, but those reasons don't extend to everyone. However, considering how awkward it can be to deal with this afterward, I'm hoping to head off the problem and I got a really good tip from the ol' reliable internet. Adding in the # of seats that have been reserved for the Smith family will further emphasize that you only want the main members of the family... not them and their daughter's boyfriends and their best friends. Plus, once you get the RSVP's back, this will be a more clear indication of whether or not they plan on inviting someone not included in the main invitation instead of them just squeezing additional names into the M_____ space. Just something to consider, hopefully it will help to avoid some of the "you're not invited" awkwardness. You shouldn't be invited to the shower if you aren't invited to the wedding. As DinaBear said, it's confusing and tell you 'You're good enough to invite to my 'presents party' but not to my wedding. I think the exception would be a bachelor/ette (non-gift giving party) with explanation or, in the case of one of our friends - he would have recieved an invite but he'll be out of the country for the wedding so he's coming to a pre-wedding dinner. Büt I'm a Aussie, so wedding showers still seem really odd to me. We were surprised at the number of people who did actually make it to the wedding. We figured since it was out of town for most that there would be a few people who just couldn't make it. Not so! We ended up with double the amount of people we assumed would come (50 instead of 25-30). Yes, it made it a bit more expensive, but we were extremely grateful that our friends and family love us enough to spend the time and money to fly out. We also invited plus ones. I definitely didnt want to tell anyone they couldnt bring a friend if they wanted. If that person doesnt end up sticking around, it is ok, it was more about the moment of the wedding and everyone having a good time. We felt much love! We were a little extreme and decided to elope. Only us and the two legally required witnesses. Not even family. They'll see the video. Everyone understood and complimented how smart and courageous we were. You invite one person, you have to invite everyone. 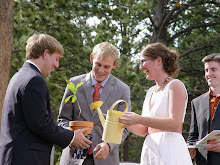 We had a "Jack & Jill" one month prior, and everyone who would have been invited to the actual wedding was there, so they got the chance to celebrate with us. We of course, like everyone else, had the random comments like "I can't wait to see how everything comes together" or I'll save the date by those who were not invited. It never really became a problem though. The strangest one to me was an old friend (from back in middle school) who wanted to bring a plus one. She originally asked me about a boyfried to witch I said of course, but then they had a falling out with him and wanted to switch her plus one to another girl, who I went to middle school with as well. I don't dislike this other girl, but I don't know her anymore and honestly I didn't want her at my wedding. I guess my thought was I had a bunch of friends who I wasn't inviting to the wedding in order to keep the guest list down. So at my wedding I would rather have them than this random gril from middle school. It was just such a weird situation. I have to say that most people who react with "I'm putting it in my calendar" are saying it as a knee jerk reaction. No one had (or admitted to having) a genuine expectation of getting invited. We had 2 wedding crashers. I still don't know precisely how or why they came to be there. Our hypothesis is that the parents assumed their 2 sons were invited. Although, they were dodging me a little bit...so maybe they suspected otherwise. I think the most important thing is to be explicit as possible so that there's no room for people to wonder. I think that it depends on if you are throwing the shower (or MOH, mother, etc) or it's being thrown by the people who know they aren't invited. Ex. My friends, who knew early on they weren't invited as it was a destination wedding, threw me a shower anyways. I just made it really really clear that I did not want gifts. And it was a lot of fun and I don't think that any of the guests felt wierd about being asked. I do think that it's a different story though if it's a shower where gifts are expected. I just can't believe that people DON'T understand that when you are paying for people at the reception and aren't a millionaire that they may not be invited. I had random people coming out of the woodwork after saying I was getting married. And then to boot all these people want to bring dates, not boyfriends mind you. We are paying for the wedding on teacher salaries. I can't believe how rude people can be!